At the audition I sang one of Tim McGraw latest country songs called, “Humble and Kind” in front on four judges from the music industry, I was told that two of them where pre judges for The Voice how scary. To my amazement I was told I reached the live stages and went through to the Regional Final of “Britain Dose Variety’ which is taking place at the same theater on Sunday 29Th October 2017. Over 21 Show 2 Doors open at 6:45 show starts at 7pm ticket cost £10 each. If I reached the finals and are one of the lucky winning acts. I could be booked to sing on a luxury cruise liner and get signed be a record Syco Entertainment part of (Sony music). On Sunday 17th September I went and audition at the White Eagle Club 211 Balham High Road, London, SW17 7BQ for Open MicUK. I performed my award winning country song that I wrote called “Stars & Stripes of Freedom” I could see by the look on there faces that they were surprised how American my voice was. One of the Judges tole me she is a judge on Britain Got Talent the other judges where from the record industry. The over 25 Regional Finals will take place at the same venue on Sunday 15th October 2017 doors open at 7:30 show 3 starts at & 7:45 pm . The Open Mic UK music competition offers thousands of pounds worth of prizes, including free photos and films of your performance and recording studio time. The overall winner of Open Mic UK wins studio time to record their debut album and a video for the best single, plus extensive media promotion from a professional PR company. Find out more about our music competition prizes. 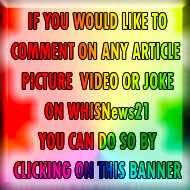 I like to say a Big thank you to WHISNews21 for covering the story.